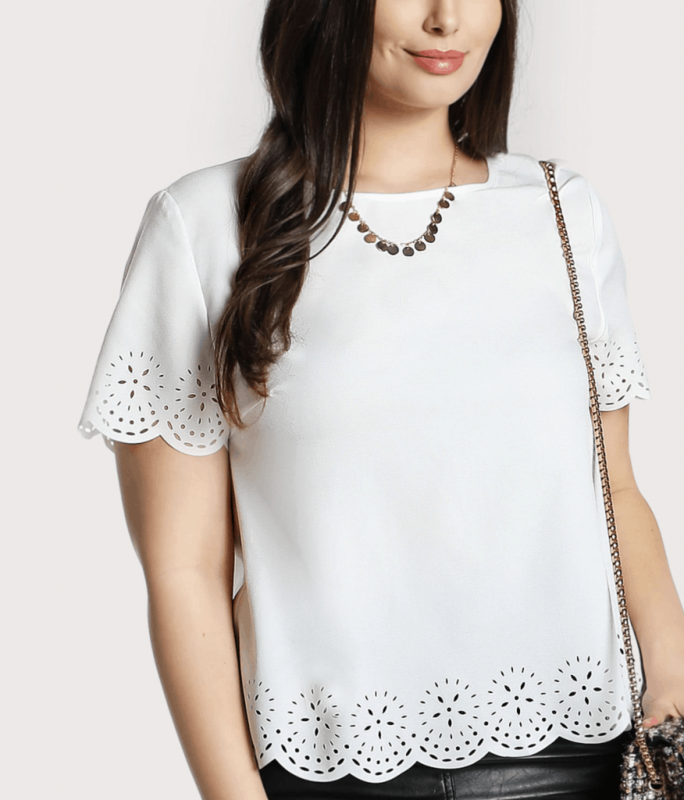 Today’s Obsession is all about scalloped cut out tops. I found so many really fun options that are priced right. It all started with this number – a piece I picked up from She In for around $20! There’s always a coupon running, so you will probably get it for less. I love shirts that do all the work. I don’t have to worry about layering or combining multiple items to feel put together. The scalloped edges give my outfit a finished feel. 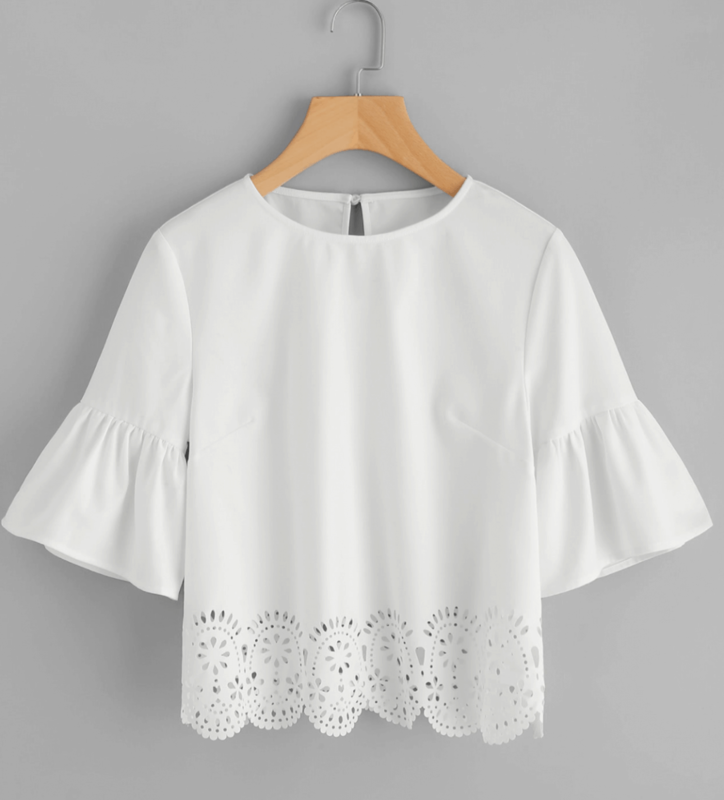 This top is perfect to wear while hanging out with friends or while hitting up the mall. It all depends on how you dress it up or down. Let your accessories work their magic. I have a few more options here. Be sure to check them out. Also if you want details on my floral heels, they are from White House Black Market. Be sure to check out all my “Today’s Obsession” picks by viewing the complete category. Remember, I am going to post one new obsession a day for all of 2018 (excluding weekends). Can’t wait to window shop with you!